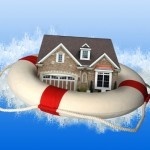 The word foreclosure for many owners conveys the image of possible financial ruin, dread and fear. While for others, including many real estate investors and home buyers, the word conjures up visions or positive investment or economic opportunity. Regardless of your personal perspective, Foreclosure is possibly the most misunderstood aspect of the residential real estate market. Purchasing real estate or homes directly from the bank or lender is the preferred by many real estate investors and home buyers because it can be a more predictable and less-emotional home purchase process than buying from the distressed seller who is facing foreclosure and may or may not go through ( or be able to deliver title) with the transaction. First, most home buyers do not realize the first misconception- and it's a BIG one! Not every Bank Owned Property or REO is a good deal. Many banks with property for sale in the Triad area seek to obtain market value for properties that they foreclosed on in order to attempt to recoup as much of their losses against their loan balance as possible. Other lenders are more focused on liquidating REO (Real Estate Owned) inventory as these properties represent non-performing assets and have a severe negative impact on the lender and financial condition. Facing Foreclosure - Stop Foreclosure - Is a Short Sale Right for You? You can stop foreclosure on your home in North Carolina. Are you struggling to make your payments? Sitting with a home, condo or town home with no or negative equity unable to refinance, there are other options. You must take action, call us we can help. Over the past decade we have helped hundreds of homeowners avoid foreclosure. Every week, we receive calls from area homeowners who need help immediately to stop foreclosure. If this is the case with your situation or someone you know in the Triad area, you have come to the right place. We have a team of the best short sale attorney's in the state ready to assist you in working through this process. Our aggressive marketing coupled with the law team we have achieved some amazing results in very short periods of time. NO COST consultation. Call 336-553-0796 today. DO NOT waste another minute.